A member of our MilestoMemories Facebook group (Jeff M.) brought something to our attention that he noticed when he went to change his Southwest flight. It looks like Southwest changed their rules for flight changes a few months back. In the past you were able to change your flight easily. Southwest would give you credit for the difference if the price was less. And, they would charge the difference if the flight was more. This came in handy when they had a sale and the price dropped, or if you needed to grab a later flight etc. All you had to do was make a couple of clicks and you were done. The rules of your original flight’s fare class stayed the same for your new flight. If it was a fully refundable fare when you booked it then it would be fully refundable after the change as well. Modifying a refundable fare will result in the fare becoming NON-refundable. To ensure your new ticket is refundable, cancel your existing reservation, request a refund of the refundable balance, and create a new reservation. Non-refundable fares may be applied toward future travel on Southwest Airlines for the originally ticketed Passenger only. The new reservation inherits the earliest expiration date from any funds applied from the old ticket. Therefore, the expiration date of your new reservation and all associated funds may be less than 12 months. Your new expiration date will be displayed on the confirmation receipt sent to you. Upgrading to Business Select® will result in your fare becoming NON-refundable. Essentially, if you change your existing reservation then any part that was refundable, like the taxes on award flights, becomes NON-refundable. To be fair, this is only an issue if you later decide to cancel the changed flight. For most airlines nonrefundable means you will lose your money if you cancel your flight. With Southwest it means that you will get a travel voucher which is good for 12 months. The voucher only works for the person the ticket was originally booked for. This change is still important because you will no longer be able to get a refund to your original payment if any change is made. This was not the case in the past. These changes also affect award tickets. The taxes on international flights can be over $100 per person, which adds up quickly. If you change your international award flight because it has dropped in price that $100 becomes nonrefundable. You would be issued a travel voucher, for the $100, if you needed to cancel the cheaper flight at a later date. In the past the $100 would have been credited back to your credit card. Southwest travel vouchers are a pain to deal with because they are not automatically applied to your account. This is probably because Southwest wants breakage on their vouchers to increase profits. 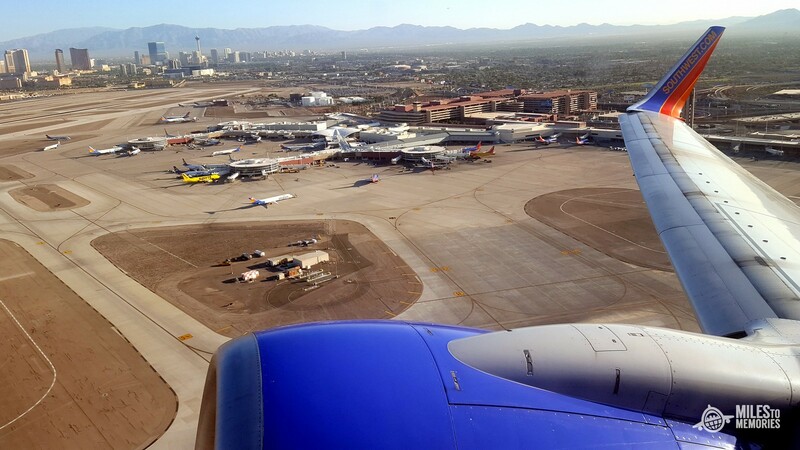 If you want to keep the refundable portions of your Southwest flights (taxes on award tickets, Anytime fares, Business Select fares) refundable then you need to cancel your current flight, get the refund, and re-book the new flight. This adds an extra step to what was previously necessary, but it is better to be safe than sorry. This was the procedure recommended by Southwest employees when MilestoMemories Facebook group member Thu V. called to inquire about the change. Having to cancel a flight and then re-book is not the end of the world. It does add another thing to be aware of when planning your trip. It is still unclear if this is a long term change or just an IT system glitch Southwest is working through. I think it is worth the extra effort to ensure you are able to get a full refund versus having to deal with lousy travel vouchers. Have you had to deal with this situation yet? Do you think it is a bad move on Southwest’s part? This is the change that went into place back in April when they switched their systems. I had a couple of instances where it didn’t work the way they said but more tests show that this is the case. April – sounds like it is more likely going to be a permanent change if they haven’t addressed it by now. Thanks for the info Charlie! I was able to get a refund on taxes (about $100 on two tickets) after using the customer care web form on the web page. Took about a week but a nice agent called me and said they would give a one time waiver as many were still unaware. Prob not worth it for $5 but for more it’s an option if you’ve been caught out. That is good to know for anyone who missed it when they made a change in the past. Thanks for the info! I have not seen this “news” reported anywhere else and there are still a lot of people unaware of the rule change. Not everyone has had to change a Southwest flight recently. Thanks for the comment though! Thanks for the info it doesn’t hurt to get it out to people that are not on Flyertalk. Dealswelike is the only blog that popped up when I google searched it before posting so I don’t think it was that widely known. being based in PHL, with almost no Jet Blue or Alaska/VA presence, SWA is the only airline with a heart here. they could make 100 different negative changes and would still be more flyer-friendly than the legacies. but my fingers are crossed that they don’t start doing so. this tax business seems mean. It does seem like a weird change. I would imagine it has more to do with the newer system then anything else. There is no way they cannot refund taxes as cash that just wouldn’t be legal. I think even if you no show on an airline you can get taxes back (but I’m not sure). As another commenter said, they are refundable via a form. When you use points to book the flight, if you cancel the taxes refund to your credit card. Hoang – That is true unless you made a change to the flight first. Shonuffharlem – they issue you a travel voucher so I think they are covered. The refund mentioned above is a one time exception. Airlines can call it a cancellation fee…that is how British Airways does it. Mark – What happen after I did made a change then cancel? Do I loose all the points? No you should still get the points back – the taxes will be credited back as a travel voucher instead of a refund to your credit card though. I just Used points to book a flight on line, forgot to apply my unused travel funds. I called SW to apply travel funds and was told that travel funds can only be used on a revenue flight. If that’s the case, I think I’ll cancel the flight, book 2 one way flights and use the travel funds on the cheaper leg of the trip. You can use travel funds to pay the award taxes but yes your plan is the best if you want to just use it up. Ack. So, I’m sort of confused. This is a change-in-place period? What I read was that some were charged for revenue based and some weren’t for points based. Would the 24 hour rule still apply? Can I cancel within 24 hours and be refunded everything like we can do with the other airlines? Was going to switch to SW next year as I’m an EXP w/ AA and done with them. When I booked for myself, I enjoyed being able to switch at any time and not be out anything, just the difference in points… guess it’s not the case anymore if we are losing on the taxes too. This only comes into play if you make a change to your flight. If you change the date, time, or just rebook it for a lower price the cash portion of the fare (taxes, or paid flight) becomes non refundable. You get a travel voucher instead of a refund if a change has been made and you have 12 months to use it by. If you just cancel the flight you have and then rebook the new one then the rules stay the same as before. Anything that was refundable in the past is still refundable when you cancel the flight. So just cancel your flights if you need to change them and rebook a new flight. With regards to early bird being non-refundable, how is it that a company can charge for a service you didn’t use? I think it is kind of like a cancellation change fee for them without having to call it that. Can you still purchase the flight, times, price you want and then cancel the old ticket with a full refund? I would hate to go to rebook only to find no seats. Yes you can. Happy flying! If you are talking about reward flights then yes you can! How can they make taxes non-refundable? It isn’t supposed to be their money. Are they keeping the money I paid in taxes if I fail to fully use a voucher? If you cancel a reward flight without making any changes first you would get your taxes refunded to your form of payment (most likely a credit card). If you make a change and then cancel the flight then you would get a travel voucher that expires after 12 months instead.